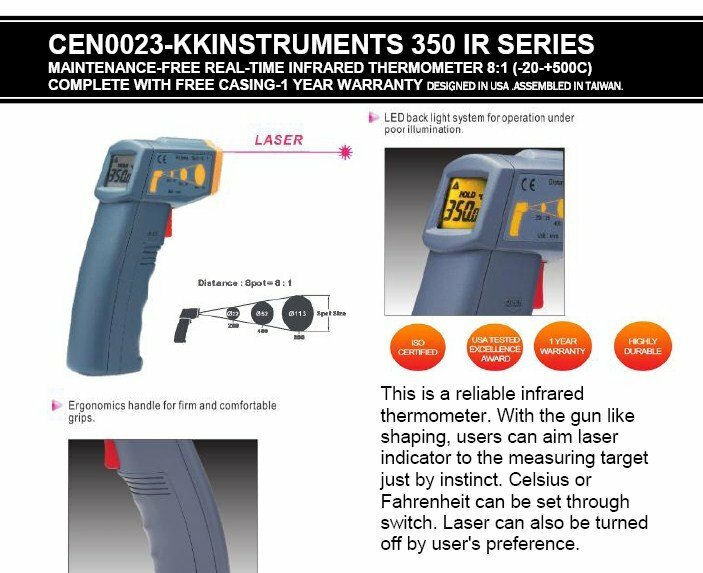 This is a reliable infrared thermometer. 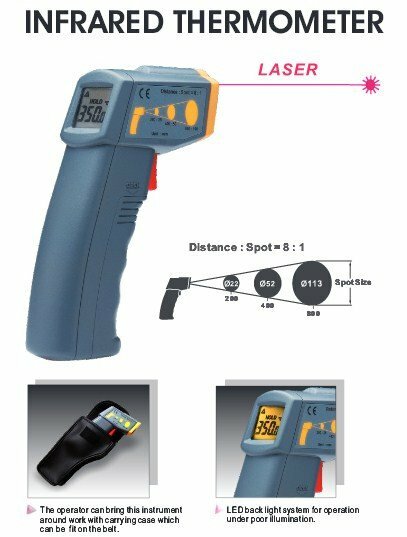 With the gun like shaping, users can aim laser indicator to the measuring target just by instinct. Celsius or Fahrenheit can be set through switch. Laser can also be turned off by user's preference.